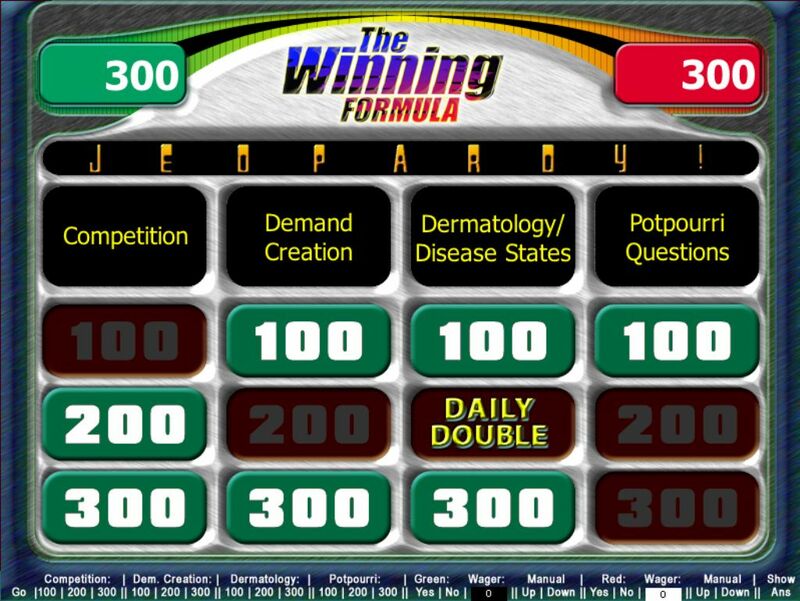 Reg Wilson - Multimedia Developer - Interactive Presentations - Gameshow Interactive - Jeopardy! 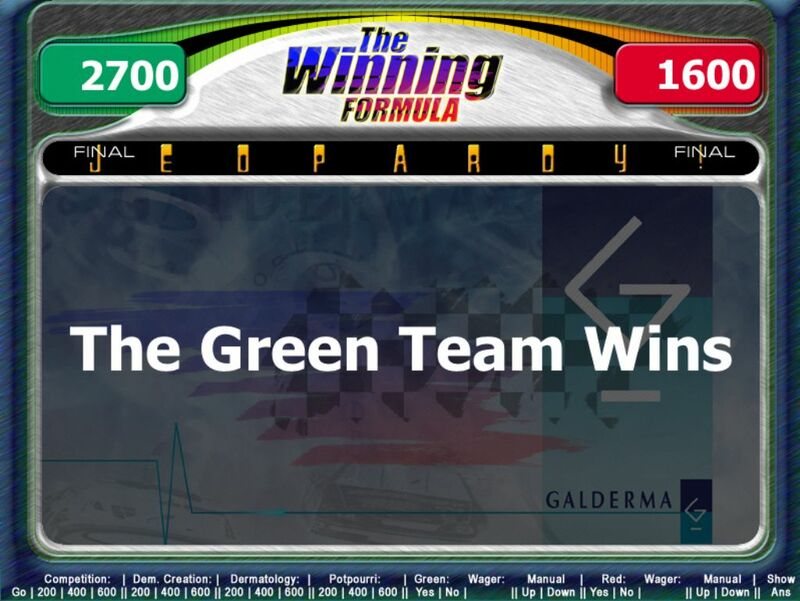 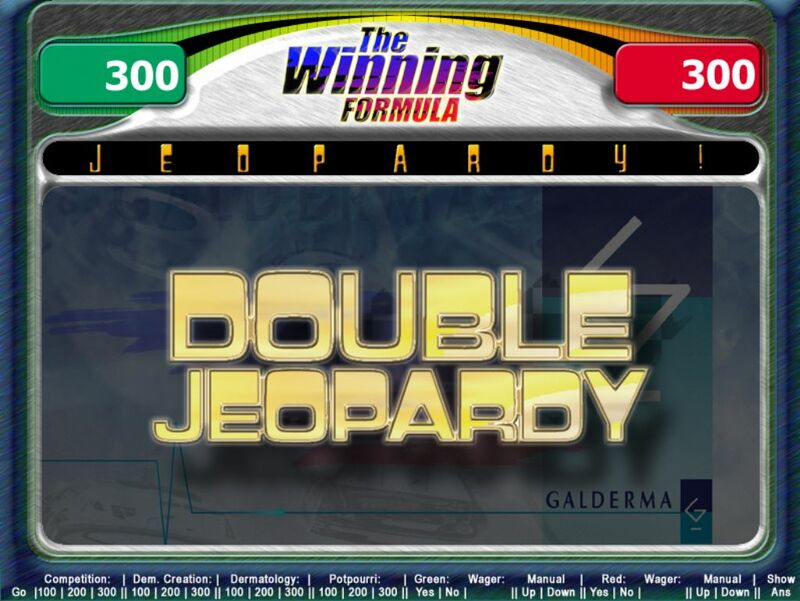 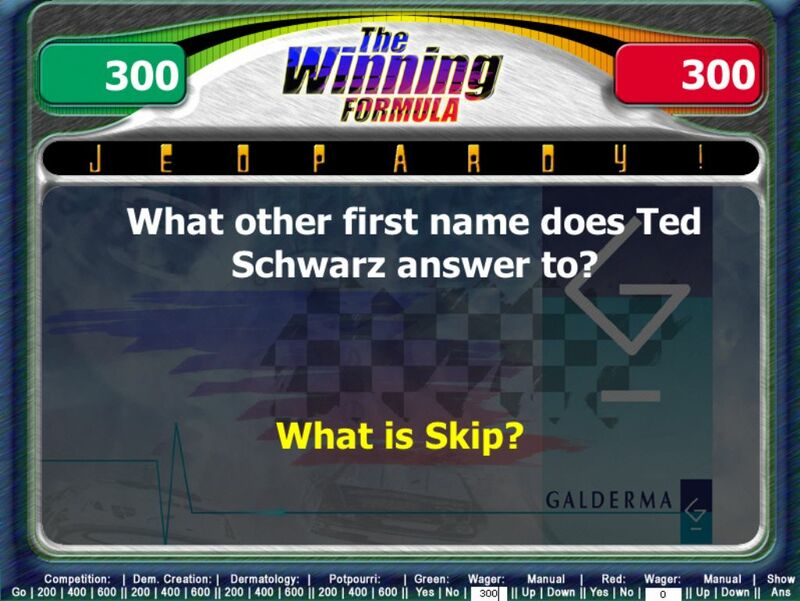 This interactive version of the gameshow Jeopardy! was produced for TBA Dallas. 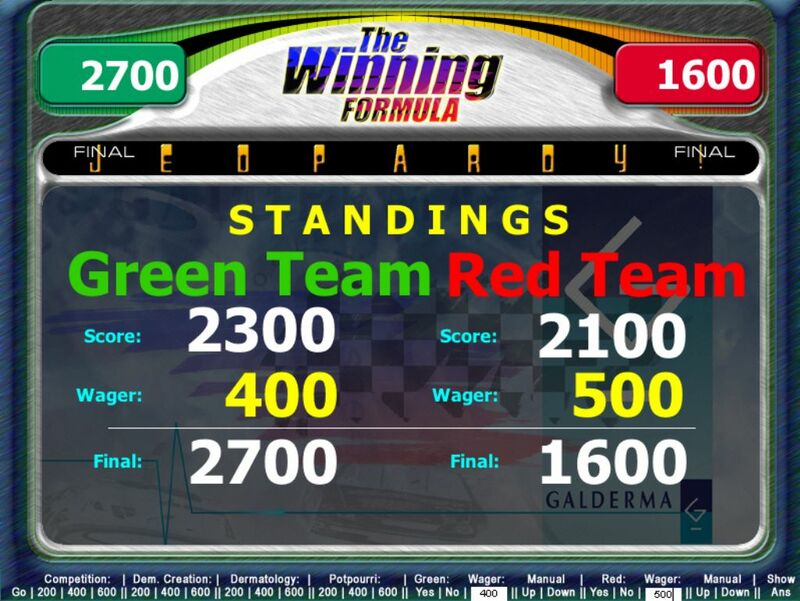 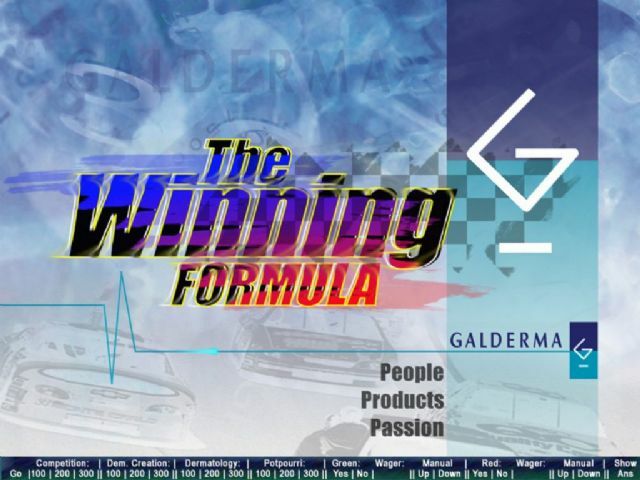 It was presented live a an annual sales meeting for skincare leader Galderma.